Ford Mustang REVO/Alcon Big Brake Ki. 380mmx32mm rotors with Monobloc 6 Piston Calipers. 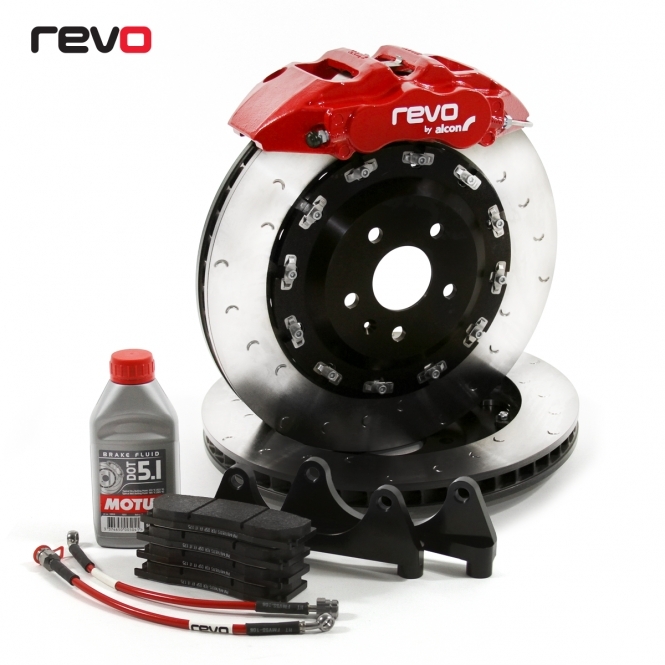 The Revo Big Brake Kit Upgrade is engineered to improve your stopping power in any condition. Whilst stock brakes are perfectly adequate for general driving; the braking system is often overlooked when enhancing a vehicles performance. The Revo brake kit is made by world leading brake manufacturer Alcon; utilizing over 30 years of motorsports braking innovation only the best materials, techniques and processes have been used.